Size: 1 bedroom 450 Sq. ft., 3 bedrooms 1100 sq. 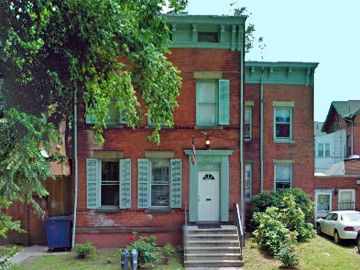 ft.
366 Elm Street: Early 1900's brick building featuring 3 three bedroom apartments and 1 one bedroom apartment. The apartments offer great charm and character throughout. Just off of Broadway, this is a great location for anyone looking to be steps from Yale central campus. Each apartment has hardwood floors throughout, formal rooms, high ceilings, large windows and great light. Residents pay all utilities. Cooking and heat are gas.